How can I safely warm up cold toes? | Podiatry Associates, P.C. How can I safely warm up cold toes? Warming cold toes isn’t difficult. You simply have to be careful so that you don’t accidentally harm your skin in the process of doing so. Cold feet are typically somewhat numbed, so they are unable to accurately judge warm temperatures. This makes it much more likely that you’ll accidentally burn your feet as you try to warm them unless you are careful. 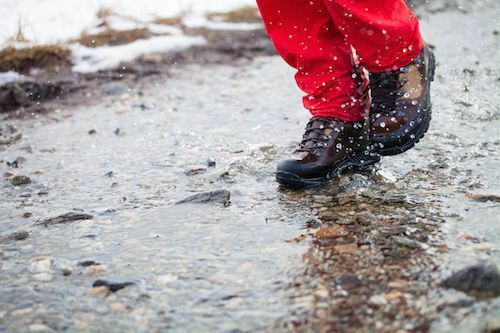 When you have cold feet, make sure they are dry and not exposed to icy air. Run room temperature or slightly warmer water over your toes. This provides your digits with heat and encourages your circulation. You can also gently massage your toes to create friction heat and improve blood flow. Make sure you are hydrated, too—this increases your blood volume, which helps with circulation. Once your feet are warm, keep them that way by wearing thick socks and possibly footwear. If you regularly struggle with cold toes, our team at Podiatry Associates, P.C. can help you determine what underlying causes might be affecting this. Make an appointment online or by calling (303) 805-5156 to reach our Castle Pines, Parker, or Cherry Creek, CO, offices.